This was the first month I participated in the Foodie Penpal program sponsored by the Lean Green Machine. Basically what you do is swap foodie items with another person that your linked up to. For me I had to send my items to Christine at Oatmeal in my Bowl. Check her site out to see what goodies I sent. Hope she liked them! For me, I received my goodies from Maureen from Organically Mo. She sent me the items I love from Trader Joe’s and she wrote the nicest card. I love all my gifts. I took my Granola to work to munch on, and my dogs love the treats. Their kind of a Trader Joe’s fan too! She also did the cutest thing, taped Justin’s Nut Butter to a Jar of Roasted Red Peppers, he he, to represent my name. After looking at that I thought, I picked a funny name. I loved it! I used the peppers already and I have the nut butter in my purse for emergencies! You know you should always keep a hidden stash of peanut butter!!! Thank you Maureen for the goodies! Anyone can participate in the Food Penpals program, and you don’t need a blog to join!! If you interested here’s some information below. *Breaking news! This month we’re going to do a trial run for our Canadian friends. I’m still not exactly sure how it will work with shipping costs and stuff for you guys up North, but if you’re willing to give it a try for a month and provide me with some feedback, that would be awesome! Please note, Canadian Residents will be paired with other Canadians only. We’ve determined things might get too slow and backed up if we’re trying to send foods through customs across the border from US to Canada and vice versa. So, I’m going to keep two separate lists and match US w/ US and Canada w/ Canada! –WHETHER YOU ARE A US RESIDENT OR CANADIAN RESIDENT. – this is SUPER important so I can get you on the right list! The Lean Green machine will need to hear from you by February 4th as pairings will be emailed on February 5th! This weekend I was at Trader Joe’s and I kept on seeing that Chocolate Almond Butter and I debated about buying it and then I thought why not make it? I like my nut butters way better then the stores, so this weekend I did it and I am so happy I did! I love it!! Another one of my new addictions! 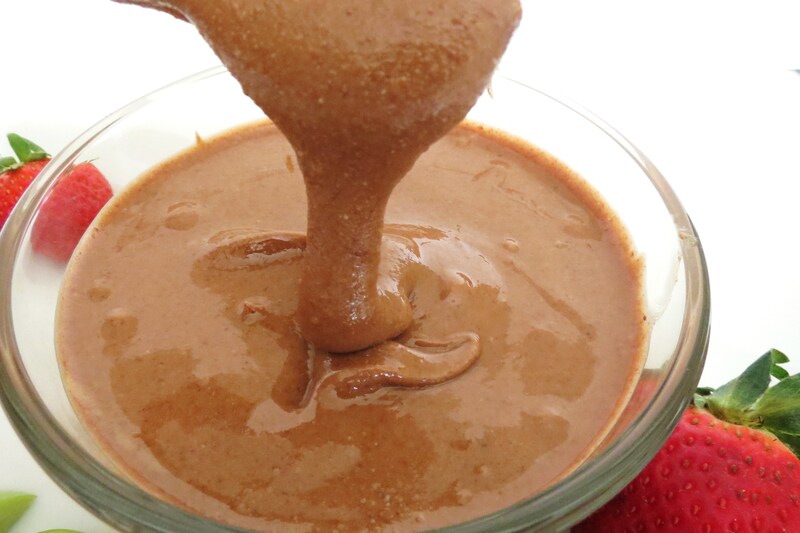 If you haven’t made a nut butter yet, you must! Do it now!! Once you make your own, you’ll never buy store bought again, I promise!! Matter in fact this week, Target has nuts on sale, so check it out!!! It’s cheaper than buying a jar of nut butter!! 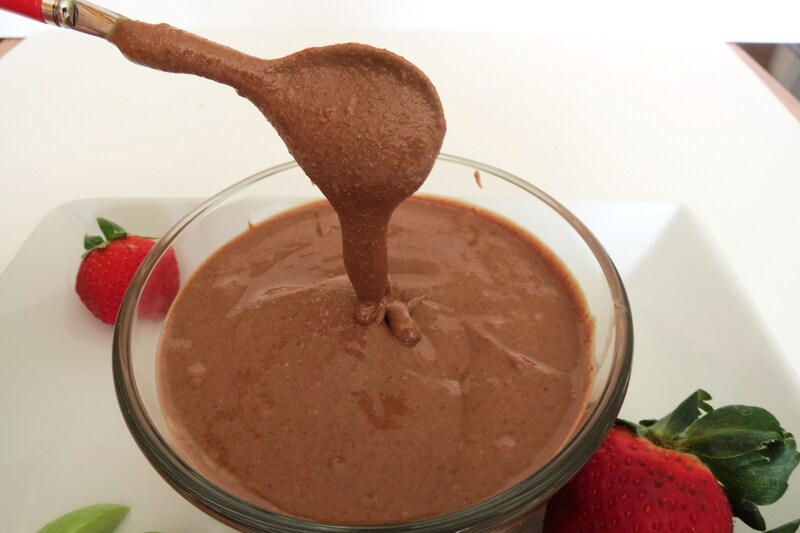 What I did was make my normal Almond Butter and right at the end I added about 1 oz of dark chocolate. It’s not that much chocolate, so next time I may add more. 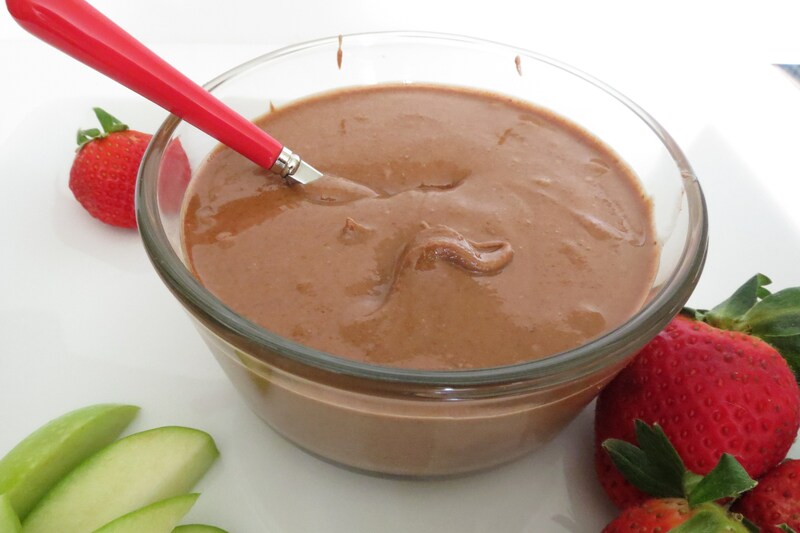 But this Almond Butter has the wonderful almond taste with a chocolate after taste. The chocolate I used was Trader Joe’s Dark Chocolate Pounder Bars. This is the best dark chocolate, it’s creamy and smooth and melts like a dream. Way better then using chips! So if you want a GOOD chocolate check out the big red pounder bars from TJ’s. You’ll see a picture on my Trader Joe’s page. In a large bowl, mix together the almonds and maple syrup . Spread out almond mixture onto baking sheet and bake for 15 minutes, stir and place back in oven for another 15 minutes. Remove from oven and allow the almonds to cool. In food processor add almonds and process until you see it form into a ball. (NOTE: You will have to scrape down the sides a few times, like 10.) Add you cinnamon and vanilla extract and then process until drippy. The whole process takes about 10 – 15 minutes. When your right at the end I add the chocolate and process until all melted in, about 1 more minute. This would be perfect for Valentine’s Day. 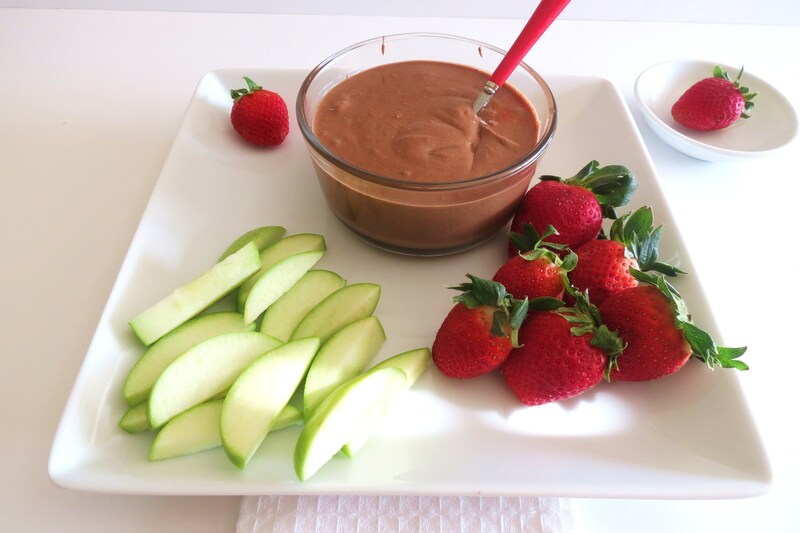 Serve with some strawberries, marshmallows, graham crackers, banana’s, maybe some whip cream, or you could make a scrumptious dessert with it. I won’t tell you what else I think you could do with it. lol Sorry, being dirty here!! he he Oh and a banana sandwich is so good with this almond butter. You could also put this in ice cream, on top of oatmeal or do like I do and put in my yogurt. So good, so creamy! This is my best nut butter yet!! Time for me to go make myself something for dinner, it’s fend for yourself night. Hmm, what to make, what to make. I do know it’s Monday night and I’ll be baking something sweet! Have a great day!! Don’t forget to check out yesterday’s post, to see all the Skinny Super Bowl Treats you can make! I love this recipe! I’m a huge fan of almond butter and well a chocolate-aholic 🙂 What a fun event you participated in. This dish looks super creamy too, just how I like it! This is something new. I have never heard of chocolate almond butter before. How delicious and good for you too!!! I love any kind of almond butter that I can get my hands on. I have yet to make my own, though. Shame on me! omg those pb cups are so good!! Yay!! I am sooo glad you liked everything I sent you!! I loved everything!!!! I really liked your card, it was so sweet! 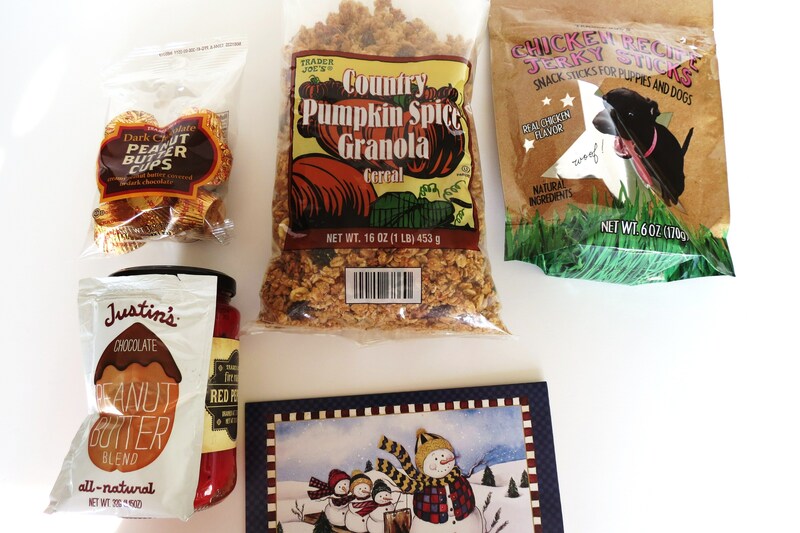 I have your granola in my desk at work, for easy snacking!! I love the name of your blog and I am loving the idea of making your own “butter”! Lots of yummy things to do with this! I am so excited about it. So glad to be in the bloghop with you. Thanks! I LOVE my nut butters, I use it everything, probably stuff I shouldn’t. I’m glad to be in a blog hop with you, now it’s my turn to hop over to your blog. Have a great weekend!!! I could think of so many ways to use this!! I really love this idea and I bet it tastes so good!! 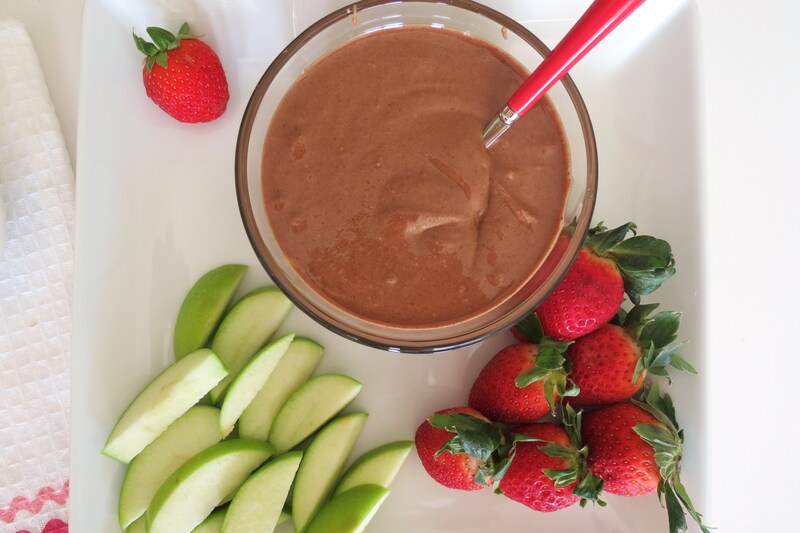 Wonderful recipe, healthy and delicious!! 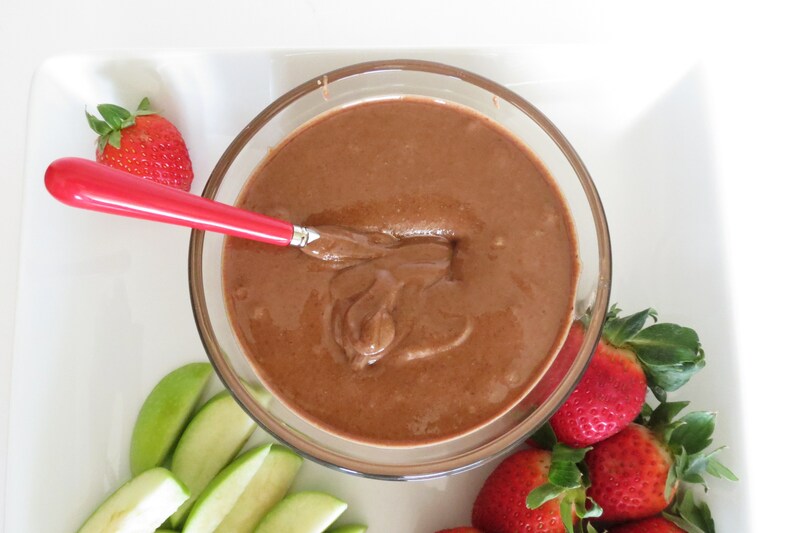 Fab recipe to have – chocolate almond butter, so versatile and delicious! The foodie penpal programme sounds fun too. Sadly I’m out of the running as I live in UK. Ahhh, thats stinky you can’t be in the program. You should start one where you live or better yet, get another food blogger start it! 🙂 I didn’t know today is Nutella Day, I have to pick up a jar so I can celebrate it!! I can only imagine how delicious this would be. 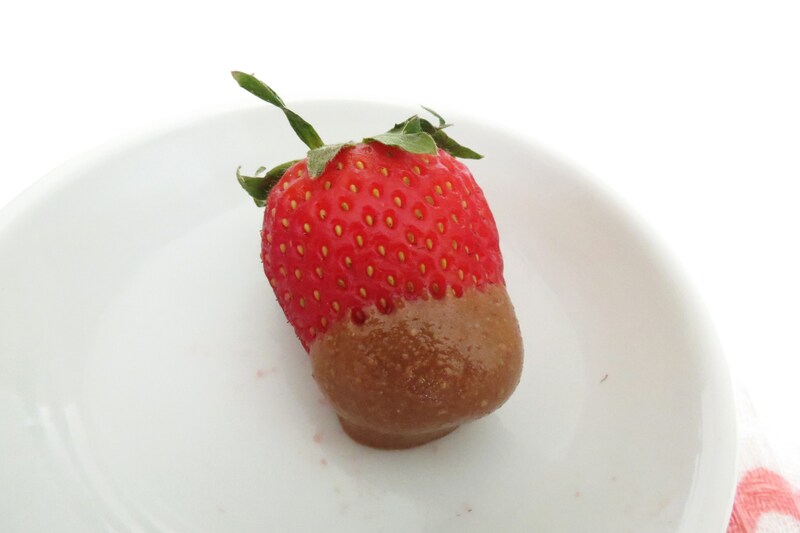 Dunking strawberries in it is a lovely idea. It’s so good, I can’t even tell ya, you should give it a try! I went to Trader Joe’s this weekend to buy the stuff to make this. I bought the Trader Joe’s brand of raw almonds. The package says it’s 16 oz. the recipe calls for 2 cups of raw almonds do you measure out 2 cups or do you use the whole package? Can’t wait to make this I bought the Trader Joe’s dark chocolate too yummy!!!! I use half a bag, which should be two cups (8 oz)! Enjoy! Love this nut butter!! One thing I found is if you can smell your nuts, then they are done. I learned that lesson the hard way! Let’s just say I have burnt a few batches of nuts, well more than a few! 🙂 If you try the recipe again, just bake the nuts for about 15 minutes and flip every 5 minutes. I don’t have patience for 30 minutes, so I have done it this way. Sorry you may or may not like the nut butter! 🙂 Thanks for commenting and letting me know how the recipe came out! Have a great day!! Thanks Jennifer….I know I’m going to love this cause I’m liking this one I made with burnt nuts…..lol….after I finish this I’m gonna try it again!!!! Thanks for all that you do!! lol, I have eaten my burnt nuts too! They aren’t to bad! lol Almond Butter is one of my favorites! I think I’ll make some tonight! You inspired me!